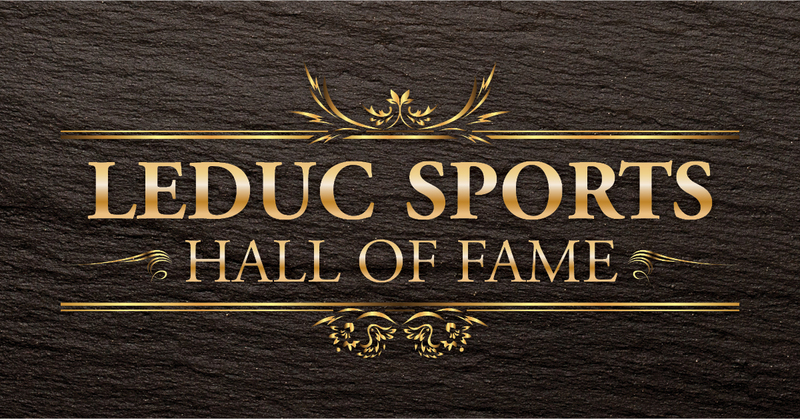 For the third year in a row, the Leduc Sports Hall of Fame is seeking nominations for its annual induction ceremony in the fall. The awards were established to recognize athletes, leaders and teams in the Leduc region who have made considerable contributions to their sport and the larger community. Inductees are selected from nominations based on their achievement and contribution to their sport as well as the positive influence they and their accomplishments have had on the region and the sporting community. The awards not only recognize individual athletes and teams, but also honour the efforts of leaders and builders who have shown outstanding initiative, leadership and dedication. Nominations are reviewed and inductees are selected by the Leduc Sports Hall of Fame Selection Committee, who is currently seeking two representatives from the region’s sporting community to join its panel. Those interested in applying to be part of the panel can download and complete the Committee Application Form. All nominations must be received by May 31, 2018 to be considered by the Leduc Sports Hall of Fame Selection Committee. Nomination forms and selection criteria can be found online. Details on the 2018 induction ceremony will be released as they are available.